Deekshitha graduated from National Law School of India University, Bangalore with a B.A., LL.B (Hons) degree in 2016. Subsequently, she worked with Khaitan & Co., Mumbai with their Litigation and Dispute Resolution team. 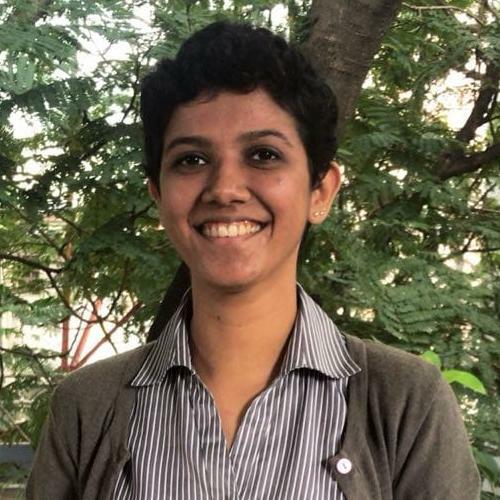 Deekshitha is interested in the practice of public law, with a focus on criminal law and human rights law. CLPR’s policy brief develops a comprehensive and functional strategy for the implementation of reservations for transgender and intersex persons in educational institutions and public employment. In order to implement reservations, we must address three principal issues: identification of beneficiaries of reservations, legal basis for reservations and the appropriate form of reservations. The Rights of Transgender Persons Bill, 2014 [“2014 Bill”] was passed as the first private member Bill in four decades in April 2015. Subsequently, the Transgender Persons (Protection of Rights) Bill, 2018 [“2018 Bill”] was passed on 17 December 2018 despite fervent objections from the transgender community regarding its problematic provisions. The 2018 Bill, which is currently before the Rajya Sabha, is a volte face on the rights that were guaranteed in the 2014 Bill. On 21 December 2018, CLPR released its policy brief ‘Making Rights Real: Implementing Reservations for Transgender and Intersex Persons’ at the Bangalore International Centre. The policy brief was released by Hon’ble Mr. Justice L Narayana Swamy of the Karnataka High Court. In her Constitution Day Lecture on 26 November 2018, to an intimate group of lawyers and members of civil society, Dr Amita Dhanda, professor of law at NALSAR University, spoke on the ‘Construction of Exclusion under the Indian Constitution’. She argued that legal education and training must inculcate a sense of injustice and pay greater attention to groups and communities that are excluded by constitutional text.